Ralph Lawson has played a pioneering role in electronic underground dance music for the past two decades. Lawson is widely regarded as being one the very best House DJs in the world. He currently holds residencies at Back To Basics Leeds, We Love Space Ibiza and Barcelona’s The Loft as well as regular appearances at Berlin’s Watergate and London’s Fabric. Bill Brewster (“Last Night a DJ Saved My Life”) described Ralph as undoubtedly one of “the UK’s best-kept secrets”, for those who have yet to hear his sound. He was recently nominated for ‘Best British DJ” along with 2020 Vision for ‘Best label’ in 2009 by DJ magazine and has won five major awards for during his residency at Back To Basics since it’s inception in 1991. He is a founder member of the highly acclaimed band 2020Soundsystem as well as running 2020Vision recordings and hosting a weekly 2020mix on Ibiza Sonica radio. Ralph Lawson and his 2020 Vision Recordings have created a vibrant trail of releases, making it one of the best-loved and most respected imprints the industry has ever seen. 2020 almost single handily put Leeds on the house music map and kick started the scene there. Genre crafting Wulf n Bear’s – “Raptures of the Deep” is now widely regarded as one of the very first tech-house records. The label has been influential in many pioneering diverse scenes – from deep house to nu disco. As long standing resident of his beloved Back To Basics club, his colourful and versatile DJ sets are constructed like electronic jigsaw pieces left for the imagination to decipher. His name is even to be proudly etched into the record books as he enters his 19th year leading the Leeds establishment as the longest running weekly House Music night in the world. Originally hailing from London Ralph picked up on the early New York transatlantic influence that swept the floors of the capital’s clubs in the mid-eighties. In 1988 as Acid House exploded Lawson moved North to Leeds where he discovered clubs like the Warehouse that were also playing a mix of New York Hip Hop and Chicago House. Saturday night was sound-tracked by Nightmares On Wax , long before they had found fame and fortune, DJ E.A.S.E was busting their first hit ‘Dextrous’ from acetate just as Ralph entered the hallowed doors. Greatly inspired by these nights Ralph went on to produce some early mix-tapes consisting largely of Nu-Groove, Big Beat, Dance Mania and DJ International records which landed him warm up spots at the club night “Joy” and led to a meeting with live act LFO. Ralph quickly found himself at the centre of a thirsty new scene that was rapidly expanding, not only in Leeds but unfolding throughout the rest of the UK. His legendary pairing with the hedonistic Dave Beer came through mutual friend and Back to Basics co-founder, Alistair Cooke. Alistair had grown disillusioned with the rave scene and wanted to create a club that catered for the more discerning clubber. So on Saturday November 23rd 1991, Back to Basics opened its doors at The Music Factory - Leeds. The very first record; Marshall Jefferson presents The Truth – “ Open Your Eyes” was played by Ralph Lawson. Almost as soon as the needle touched the dusty record the tracks apt title practically spoke for itself as attendances doubled weekly until nearly 2000 people were clambering to get in. This led to the club winning Best Dance Club no less than five times. Lawson became musical director at Back To Basic’s and impressively helped pull off the first ever gigs in the UK for Daft Punk, Danny Tenaglia, Derrick Carter and Francois K, as well as many others. Ralph’s fame as a DJ spread from his Basics residency and guest appearances at the legendary Hacienda, Sub Club, Flying and Full Circle in the UK quickly followed as well as his debut musical excursions around Europe and the USA. 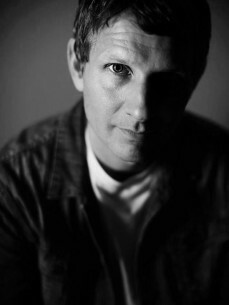 Ralph began a residency at The Moog club in Barcelona and played at Ku, Space and Amnesia in Ibiza from the early nineties. As the 90s near an end Lawson was influential in bringing the nu wave of French artists into vogue, signing the young Ivan Smaghhe for his first ever release and D’Julz followed soon after. He was invited to mix a CD with Dan Ghenacia for the infamous after-hour boat parties, ‘Kwality at Batofar’, which is still heralded as a classic mix from the pair. Collaborations at the infamous Farmhouse Studio’s created by Ralph and studio partner Carl Finlow resulted in a run of hugely successful projects, including a series of releases with veteran Chicago producer and purveyor of deep house, Chez Damier under the “Chuggles” name. Work begun in earnest at 2020 HQ as Lawson and Finlow built up a healthy catalogue of mixes including work for Fat Boy Slim, Josh Wink, Felix da Housecat, Swag and many others; but it was their work with Blaze that has really stood the test of time. Their first project with the classic New York based Blaze was ‘Lovelee Dae’ on German Playhouse Records. This track went on to become a bona-fide all time classic (as listed in the all time Top 100 classics on Beatport). To date this remix has sold over 20,000 copies and is still heavily supported from Ibiza to Berlin - Luciano used to play it like clockwork every Monday at DC10 in the summer of 2008 at a special time in the evening, while Villalobos recently dropped it to 5000 people at Cocoon in the Park 2010. The pair’s reputation steadily grew after ‘Lovelee Dae’ and they recorded outside the home stable for imprints Prescription Underground, Classic, Playhouse, Soma, Loaded, Estereo, Moody, Pagan and Tribal. In 2000 Finlow departed for love in Paris and the pair’s epic reign came tom an end. Lawson concentrated on his DJ work but it wasn’t long before the production bug took hold again. In 2002 the idea to form a live electronic act grew steadily. Ralph together with label artist and session drummer Dubble D hatched new plans to form a act that could play on the biggest stages the world had to offer. Amalgamating live drumming with DJ sets, the pairs Fat City debut mix marked the start of a Soundsystem experimenting in new ways to perform live. In 2003 Lawson received a demo from Argentineans’ Silver City called ‘1969’ which not only stood out from the rest but was obviously crafted by real musicians. It turned out that Fernando Pulichino and Julian Sanza were indeed accomplished Bass and Keyboard players and fitted perfectly into the line up for the outfit. Sharply recruited, the new 2020Soundsystem project quickly appeared at clubs such as Bugged Out! Basics, The Sub Club and Fabric among many others timed, perfectly with the release of their first EP “All Systems Go”. Sessions and performances at festivals such as Exit, Creamfields Argentina, Homelands, Global Gathering, Sonar, T In The Park and Rockness cemented their worldwide reputation as a dynamic and exciting live act. Within two short years the fledgling act found itself playing to audiences of 25,000 on several occasions. 2020 Soundsystem’s debut 2006 long player “No Order” illustrated the live show and included a bonus disc recorded ‘Live at Sonar’. Collaborations with vocalist Diane Charlemagne and NYC band The Glass highlighted how far the band had progressed as song - writers on the flip. ‘No Order’ went on to become a pioneering work in America for the emerging live electronic scene there. The response in the States was as phenomenal as it was unexpected and the guys became the hot ticket at virtually every major festival there in 2007. Again playing to huge crowds of 10,000 plus people. The 2020Soundsystem cemented their reputation in late 2009 with the release of their second album ‘Falling’ which warned them 5 star reviews in every influential music publication and a new wave of touring across Europe in 2010 including debut appearances at The Big Chill, Croatia Garden Festival and the first ever appearance of a full live band on the terrace at We Love Space. Lawson’s DJ world did not stop during the Soundsystem years at all but increased as did his profile through the band’s success. In 2007 he was asked to mix fabric33 for the celebrated series, which saw yet again 5 star reviews and ended up in many compilations of the year. A year of DJ touring filled 2008 while the Soundsystem recorded for their 2009 ‘Falling’ release. So into 2010 we have the current 2020sound encapsulated onto compact disc once more as Lawson mixes this summers We Love CD featuring exclusively 2020Vision material. Mostly fresh and new but with a few classic moments thrown in such as the remix of ‘Blaze – Lovelee Dae’, which sounds as good today as it did in 1996. With so many of the world’s heavy weight DJs playing their musical respect to 2020Vision it is about time that more people heard it from the horses mouth. Ralphs Lawson’s authentic take on house music has always had the energetic qualities found in techno yet is never far away from the funk of House music mixed with warm analogue synths and live drums. This unique brew is presented in legendary long sets by technical skills that have been sponsored by Allen and Heath, Native Instruments and Ableton. The 2020 Vision leader’s electronic cutting-edge sound manages to hypnotically demand everybody's attention. Always forward thinking, Ralph doesn’t close himself off to anything, he looks around and somehow manages to unify his influences into a cohesive set. He continually brings a European sensibility to the American roots of house music.